Initially famous for his role as Gerard Pitts in the acclaimed 1989 feature film Dead Poets Society, he is also notable for his roles in professional theatrical productions of Private Lives, Chinglish, and Buffalo Gals. In 2013, he played Assistant Principal Devon in the TV movie Dear Dumb Diary. He earned a degree in English from Yale University. In the early 2000s, he appeared in a series of made-for-TV movies based on the Catherine Marshall novel Christy and its 1990s TV series adaptation. The oldest child of magazine editor Barbara Rutledge and acclaimed screen actor Sam Waterston, he grew up with half siblings named Graham, Katherine and Elisabeth Waterston. In the summer of 2000, he married Line Lillevik. 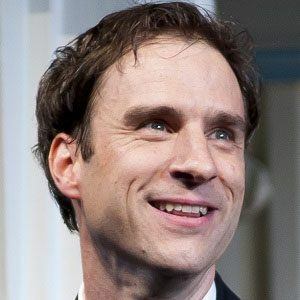 He and fellow actors Robert Sean Leonard and Ethan Hawke established a New York theater company called Malaparte.